2. Porsche and Ferrari, the Peterborough sloths. This is a tandem gig, and will make for a really slow night if you go trick or treating in true character. 3. Mike Judson. Try on one of dad’s big suits to make yourself look taller. Extra points if you add the famous Judson facial hair, and bring a green screen background. Better for taller kids! 4. Bobby Roode. If you have spandex and a wrestling championship belt, then you’ve got yourself a costume. It might be a cold night though! Borrow your mom's bathrobe and be-dazzle it for the full effect. 5. 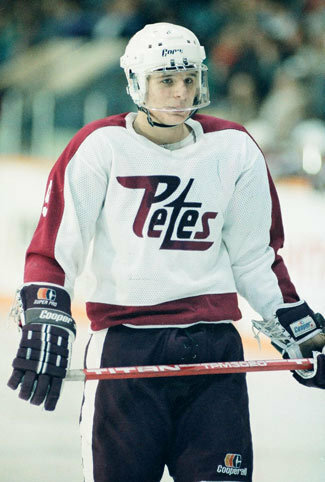 David Koski. Four words. Spanky's co-owner. Zach Galifianakis. 6. 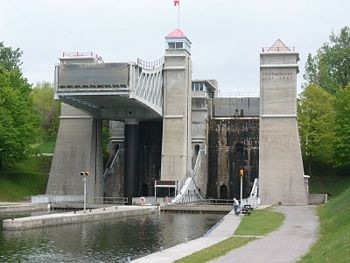 Lift Lock. If you can pull this one off with functioning hydraulics, you win! But if it malfunctions, it might go viral! 7. Catherine Hanrahan & Pete Dalliday. For Pete, you’ll want some glasses, spiked hair, an “I’d Rather be in Peterborough” tee and a microphone. For Catherine, you have to be shorter! And have bangs! 8. The Douro Elk. A brown shirt, brown pair of pants, and a couple of fallen sticks from your tree makes this a pretty easy and currently trending costume! Extra points if you bring along a couple people dressed as cows.